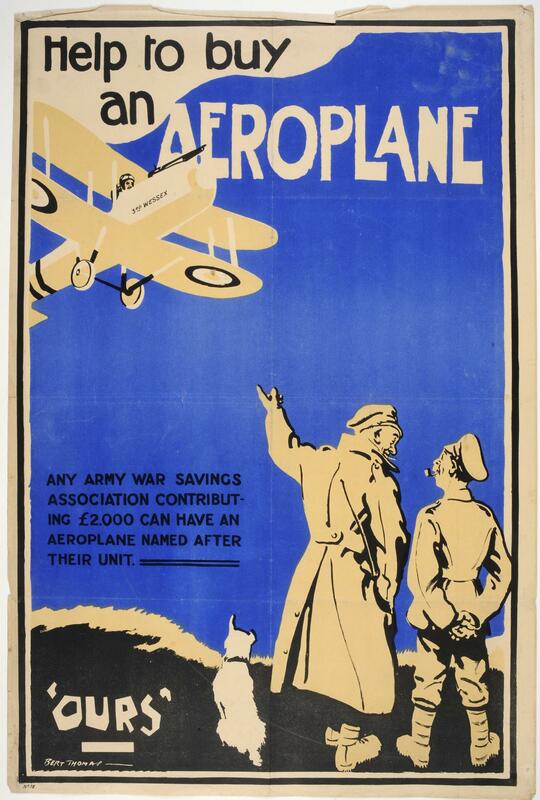 First World War recruitment poster; ' Help to buy an aeroplane. Any army war savings association contributing £2000 can have an aeroplane named after their unit'; illustrator Bert Thomas; poster no.76. A poster for the War Savings Association designed by Bert Thomas, in classic comic-book illustrator style. Donors are assured that individual association groups can have a plane named after them.